Dr. Jonathan Haerter was raised in Minnesota where he earned an undergraduate degree in biology from Gustavus Adolfus College in St. Peter, Minnesota and graduated from the University of Minnesota School of Dentistry in 2000. After graduating from Gustavus Adolfus College, Dr. Haerter spent a year as a fly fishing guide and managed a sporting goods store. Dr. Haerter then moved to Colorado where he started Vail Dentistry. 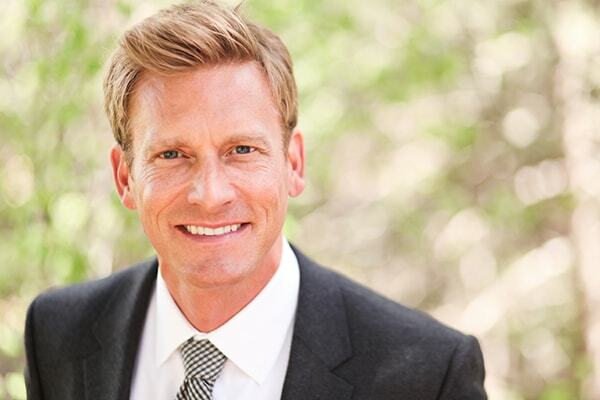 Throughout his years at Vail Dentistry, he developed a reputation based on uncompromising clinical excellence, meticulous attention to detail, and continual dedication to implementing the most advanced technologies in dentistry — all in a warm and caring environment. Dr. Haerter joined our team at Pine Grove Dental Arts in 2018. In his free time, Dr. Haerter enjoys hobbies such as fly fishing, mountain biking, golf, flying, snow skiing, water skiing, and spending time with his wife, Bethany, and their 2 daughters.